With more than 329,000 new cases in the US every year, Lyme disease is one of the fastest-growing infectious diseases in the country, according to the Bay Area Lyme Foundation in Portola Valley, CA. About 70 percent of people infected with Lyme disease will develop erythema migrans, putting dermatologists on the frontlines of this epidemic. 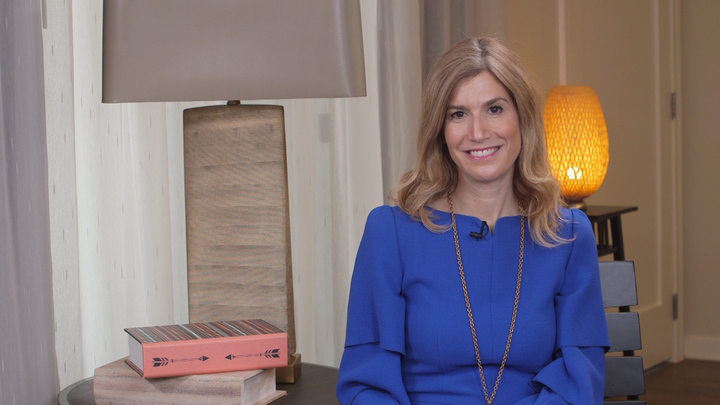 Berkeley, California-based Lyme expert Sunjya K. Schweig MD, a Scientific Advisor to Bay Area Lyme Foundation, discusses what dermatologists should be on the look out for and what they should do when they find it. How important is it for dermatologists to be able to identify tick bites and manage their complications? Dr. Schweig: If caught early, most cases of Lyme disease can be treated. However, the Lyme disease diagnosis is frequently missed largely due to lack of awareness and unreliable diagnostic tests. If not treated promptly, Lyme may progress to a debilitating stage and become difficult, or impossible, to cure. 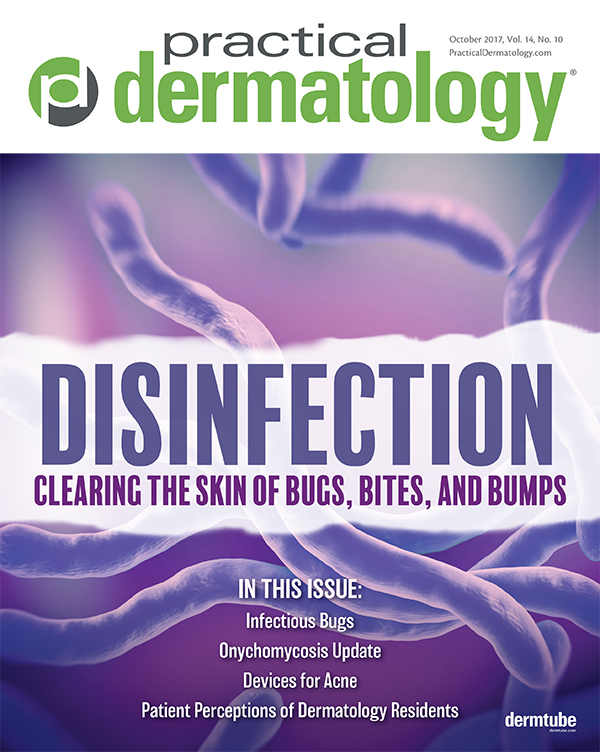 For this reason, it is critical that dermatologists can identify potential dermatological manifestations of the disease that a patient may present with, regardless of geographic location. The most common dermatological manifestations of Lyme disease are erythema migrans (EM), borrelial lymphocytoma, and acrodermatitis chronica atrophicans. However, the current literature attributes several additional dermatological findings to tick-borne diseases, including morphea, lichen sclerosus and B cell lymphoma. In some patients, the rash or rashes have been observed to come and go. The EM rash is pathognomonic for Lyme disease, however only approximately 60-70 percent of patients experience a rash, and even fewer have the classic “bullseye” shape. In fact, some studies report atypical EM in 25–30 percent of cases, and North America strains of the Borrelia burgdorferi bacteria are less likely to cause the classic central clearing presentation of the rash. Instead, it is common for patients to present with an EM rash with single or multiple areas of expanding erythema without central clearing. Some patients complain of mild burning, itching, or tenderness, but in many cases these symptoms do not occur. What else could be mistaken for tick bites? Dr. Schweig: Because of the lack of awareness of Lyme disease, in my experience, clinicians are frequently more likely to consider other diagnoses first. However, it is important to recognize that Lyme disease is the most common vector-borne disease in the US, and the diagnosis should always be part of an appropriate differential diagnosis. A rash caused by a tick-borne disease can be confused with insect bite hypersensitivity, cellulitis, contact dermatitis, dermatophytosis, Tinea corporis, gout and pseudogout, granuloma annulare, fixed drug reaction, or systemic lupus erythematosus. Other common differential diagnoses, which do not involve rash, include: arthritis, juvenile idiopathic arthritis, fibromyalgia, chronic fatigue syndrome, multiple sclerosis, and lupus, among other conditions. What is your protocol for diagnosing tick-borne illness? Dr. Schweig: After a tick bite, it is important to have a tick tested for infections it could be carrying. While it is commonly held that 48-72 hours of tick attachment is required for transmission of Borrelia burgdorferi to occur, this is not always the case...It is also important to remember that many tick bites go unnoticed, and dermatological manifestations do not occur in all patients. In fact, most tick-borne diseases are diagnosed clinically based on non-dermatological symptoms. Therefore, familiarity with the protean manifestations of Lyme and tick-borne disease symptoms is vital. Clinical diagnosis remains of paramount importance as the current “gold standard” diagnostic for Lyme disease. The two-tier serological ELISA/Western Blot testing misses up to 60 percent of cases of early stage Lyme disease. Immunofluorescence, polymerase reaction tests, metagenomic testing, and some culture methods can potentially offer improved accuracy, however, these are not widely available nor fully reliable. What role do antibiotics play in treating Lyme? Dr. Schweig: Antibiotics do not cure everyone. Recent research from Johns Hopkins has shown that approximately 10 to 20 percent of patients treated for Lyme disease with the recommended two- to four-week course of antibiotics will have lingering symptoms of fatigue, joint and muscle pain, neurological and cardiac issues, and a host of other symptoms. Lyme disease has proven fatal in several documented cases, so it is important that patients are prescribed the proper treatment.